In 2015, a record 2,633,503 new passenger vehicles were registered in the UK with Ford, Vauxhall and Volkswagen the best-selling car manufacturers. BMW, Mercedes Benz and Nissan recorded strong sales gains in Britain for the best year ever for most brands. The Ford Fiesta was again Britain’s favorite car model. New passenger vehicle registrations in the United Kingdom increased by 6.34% in 2015 to 2,633,503 cars – the highest car sales in a calendar year ever in Britain. 2015 was only the fourth year that the British car market exceeded 1.5 million passenger vehicles. The British new car market has experienced year-on-year growth for 45 of the past 46 months – only October 2015 showed a small 1% dip in sales. The list of the ten top-selling car brands in Britain in 2015 was largely similar to a year ago. All top brands sold more cars in the UK in 2015 than in 2014 but many top brands, including the market leaders, underperformed the broader market. Ford easily maintained its position as the strongest car manufacturer in Britain. 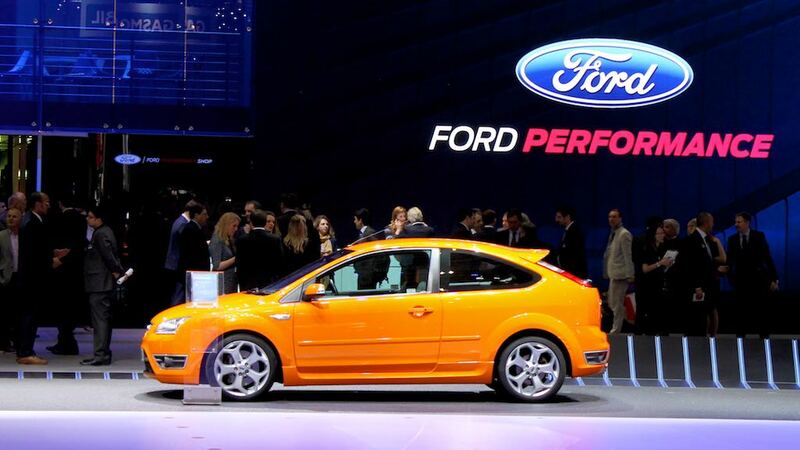 However, for the second successive year Ford underperformed. Ford lost a percentage market share since 2013. Vauxhall sales in the UK were flat in 2015 but the launch of the new Astra should help the marque in 2016. Vauxhall lost 1.3% market share in the past two years. Volkswagen continued to catch up with Vauxhall but at a moderate pace. VW sales increased by a below average 4% in 2015 after a more impressive 10% growth a year ago. Sales of BMW in the UK increased by a strong 12.5% in 2015 allowing BMW to take fourth place from direct competitor Audi. Audi slipped from fourth to fifth with an increase in sales below 5%. Nissan sales in the UK increased by 11% while Mercedes Benz was the most improved of the top brands with an increase of 17% in new cars sold in Britain in 2015. Peugeot maintained its eighth place despite flat sales while Toyota remained at ninth by selling 5% more in Britain in 2015. Hyundai and Citroen swapped places. Although Citroen and DS sales are listed separately from 2015, the combined total of the two French companies was still less than that of Hyundai. The most-improved brands were Jeep and Smart while Mitsubishi, Porsche and Jaguar also did remarkably well. Mercedes Benz and BMW added the highest number of cars to previous totals. SEAT (-11%) was the only top-30 brand with double-digit declines. DS is listed as a separate brand from Citroen since 2015 and the 29th largest car brand in the UK. As a result, Alfa Romeo slipped out of the top 30. The Ford Fiesta was again Britain’s favorite car model in 2015.